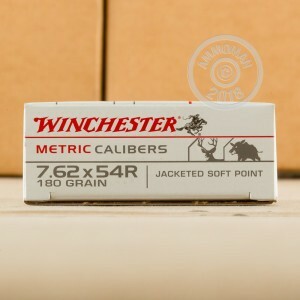 Winchester Metric Calibers ammunition adds a variety of classic cartridges around the world to the lineup of one of America's largest ammo manufacturers. This 7.62x54R load excels in a hunting role and works well with a variety of rifles including the PSL and Mosin-Nagant. 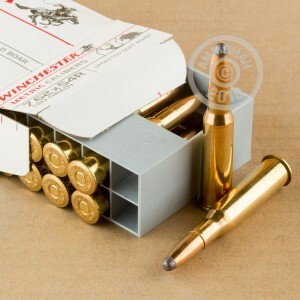 Each cartridge in this box of 20 fires a 180 grain soft point bullet at 2,751 feet per second, producing strong mushrooming in deer and other game without excess fragmentation. 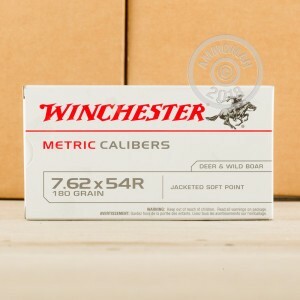 Winchester ammo is produced in Oxford, Mississippi; unlike many loads in this caliber, this ammo uses non-corrosive Boxer primers and brass cases.